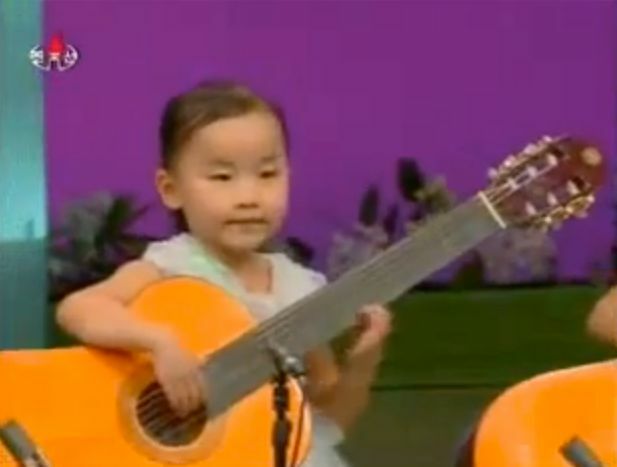 And in today’s absolutely creepy propaganda we have some North Korean kids playing guitar. The robotic looks on their faces is terrifying. But I must say they are talented for their age. I can’t imagine what sort of effort it would take to get a child with that small fingers (and attention span) to play like that. Hard to tell if there’s any faking since you never see enough the kids close enough at the same time.